In a period of just over two weeks starting from the beginning of May, the Black Cat Music & Acoustics teams will be busy attending no less than four separate events in the UK and Germany. First will be the One Voice Conference, the UK's largest voiceover event, in London between the 9th and 12th May. There the team will once again be demonstrating a working, self-install, voiceover booth following the success of last year’s conference where the booth saw use by an artist to record an urgent job for the US in the middle of the busy conference! Popular UK voiceover artist Peter “X-factor and Britain’s Got Talent” Dixon recorded a short video of the booth you can see here. 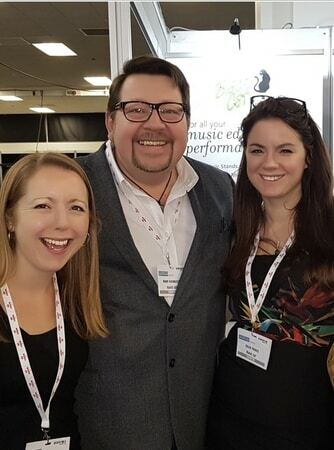 The following week between the 17th and 19th May, one team from Black Cat will be exhibiting at the Music Teacher’s Association/MMA Conference at Bromsgrove School in Worcestershire whilst another will head to Berlin for the biennial Musikschulkongress. Hot on the heels of this busy weekend will be the fourth event where Black Cat will be in Manchester at the ever-popular Independent Schools’ Bursars Association Conference on the 21st and 22nd May. This conference attracts over 400 delegates and 140 exhibitors and is always a busy but fun event. If you're attending one of these events, please stop by to say "hello"!